It is said that when an opportunity knock at your door then don't let it go just grape it from the both hands. 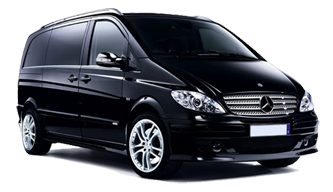 Similarly, our Minibus Hire Hackney with Driver is also a great opportunity for those who are unable to afford expensive transport vehicle but also want to enjoy travelling with luxurious minicabs. Therefore, don't waste time and hire it now to enjoy it. Mostly it is happen that when we need a taxi immediately but unable to get it then it was such a tense situation. To get rid of this annoying situation, we are here at your services for 24 hours. We ensure you to provide timely Airport Minicabs Service at your door step. Life is all about meeting and spending a quality time with friends and family. If your close friends are lived far away from you in another city of London then no need to be worry about it. You can meet them any time you want to be because our Hackney Taxis and Minicabs Services are available 24 hours for you. Regardless, it is day or night doesn't matter, call us and get your minicab at your door step without any delays. Life is incomplete without traveling and gathering with friends. So, enjoy traveling with your friends by utilizing our minicabs. One more specialty about our services is that we also provide London Hackney Seaport Transfers service to our passengers in reasonable rates. Our drivers are expert in dealing with the client and drop them on time at their destination. We highly instructed our driver to drive safely and carefully. You will get all extra services such as carry luggage and place them in their right place without any extra charges. Our minibuses are quite large. You can also get 7, 8, 9, 12, 14 and 16 seater minibus hire Hackney services from us. So, are you ready to get Taxi Service from Hackney to Heathrow Airport, Stansted, Luton, Gatwick and London city airport? Then, book your minicab now and enjoy a comfort and fearless traveling with us in cheap and reasonable rates.